Andrew and Denise are MATCHED. Before introducing our family, we wanted to say thank you for the opportunity of Adoption. It is our joy and pleasure to share our love in this way reflecting our spiritual Adoption through Christ. 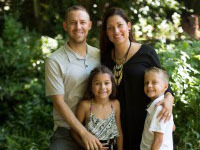 We are a loving family of four (Andrew and Denise with our children Sienna and Nathaniel), which all started 20 years ago during a chance meeting at the gym in Los Angeles. That resulted in a yearlong close friendship laying a solid foundation for our subsequent courtship and marriage. 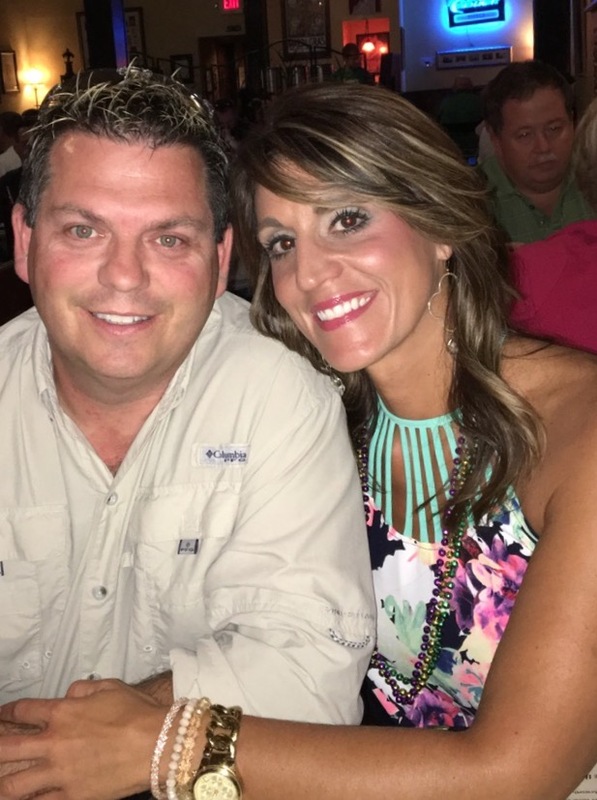 During our 14 years of marriage, we have encouraged each other in our walk with Christ. This cornerstone in our life spurs us toward devotion to the body through discipleship and service. We attend a local Baptist church where we lead the nursery/childcare ministry. Our active participation in our faith is also displayed in leading a small group bible study at our house, regularly attending men’s/women’s studies, and volunteering for various projects at the church. Additionally, we seek to reflect Christ to our community by helping run and support a local Christian soup kitchen ministry. Our spiritual gift of hospitality is evident by the frequent dinner guests, and caring for our neighbors. Andrew is a physician, and has been practicing medicine for 10 years. He spent that time training in Southern California, serving as a doctor in the U.S. Navy, and now practicing as a community doctor. His career has brought many blessings to our family including the opportunity to serve our community in a real and tangible way. Outside of his career and academic pursuits, he also has a passion for his hobbies. He is a long-time surfer, who constantly stays in tune with the ocean, and has spent time surfing around the Pacific and Indian Oceans. He avidly works out, and spends time between swells enjoying fishing, spearfishing, paddle boarding, snow skiing, wakeboarding, and hiking. Denise is a stay at home mother and homemaker. Throughout our marriage, she has made sacrifices to further Andrew’s medical degree providing support vital to his success. Her responsibilities at the home are as much a hobby and joy as her participation in outdoor activities. She loves to cook, and has a reputation for making the best Mexican food in the neighborhood. The neighbors often solicit for their next invite, and know to just pop in “by chance” around dinnertime for a taste. Also, she is methodical about her approach to the children’s education (both scholastic and spiritual), which is a great blessing. She truly loves children, and frequently helps friends and neighbors with childcare. Outside the home, she maintains an advanced PADI scuba certification, and enjoys the opportunity it affords to marvel at God’s creation. God has blessed our family with two amazing children. Both children live in the water participating in surfing, swimming, snorkeling and paddle boarding. Nathaniel is analytically minded, and enjoys mathematics and memorization while Sienna has an affinity for the arts including song, dance, sculpting and painting. 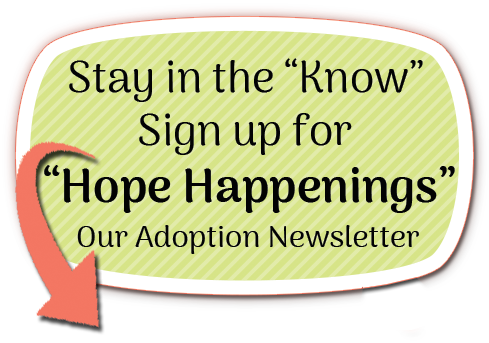 We look forward to this Adoption journey that God has placed before us. Again, thank you so much and we continue to keep you in our prayers.